He was basically pushing back on Pence’s excuse of Christianity to impose his bigotry, something he did in Buttigieg’s state of Indiana and continues to do from the White House. Yesterday, on FOX Radio’s The Brian Kilmeade Show, wife Karen Pence and daughter Charlotte Pence were on to promote their book when the question arose about Buttigieg’s comments. Look at how they responded. “Religious liberty also means that you can believe in god or you cannot believe in God – you can believe whatever you want and you shouldn’t be afraid being persecuted for that,” Charlotte added. Buttigieg, especially, isn’t going after Pence’s faith because they share the same faith. What he’s condemning is the use of their religion to promote bigotry and discrimination under the law. And for what it’s worth, it’s absolutely fair to criticize people’s faith when they say very clearly that it’s inspiring them to do all kinds of horrible things. Pence doesn’t get a pass on his hate just because he bases it in religion. It’s the same reason people are free to criticize the “Mike Pence Rule” even if he has religious reasons for it. But when you’re from a family where all criticism is seen as religious persecution, it’s not surprising they wouldn’t understand that. Critical thinking isn’t a Pence family strong suit. 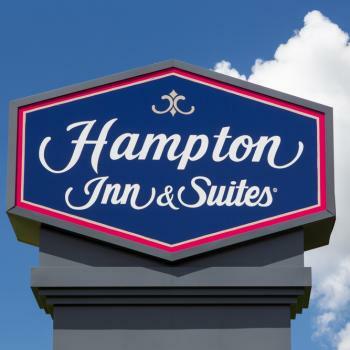 KY Man Sues Hotel Boss After She Tried Exorcising His Divorce "Demons"